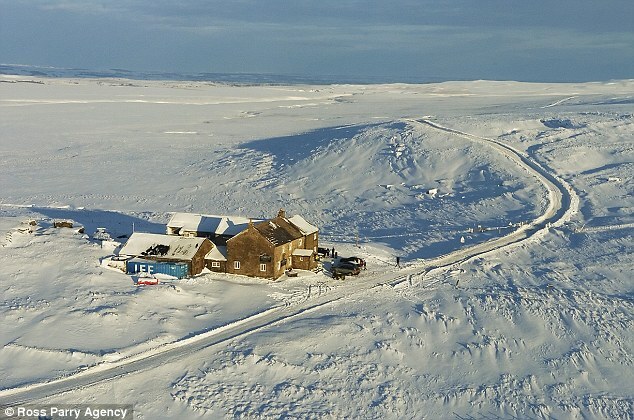 We can’t believe it has been 8 months since we took over managing the Tan Hill Inn. What a fantastic time we have had meeting all of you lovely customers. It has been great to share all of your stories both past and present on events that have happened at the Tan Hill Inn, making us realise what a special place it is. Even though we want to keep the rustic look of the Tan Hill Inn which has so much history we have had to do some necessary refurbishment to improve the place, so a new bar extension, carpets and refurbishment of an indoor beer garden. This was essential due to the volume of customers that arrive daily during the summer. Since you all come a long way to see us we want to make your experience as comfortable and exciting as possible. We are proud to announce that we have now built a great team of staff at Tan Hill, it has not been easy being such a remote and isolated place, but we have been getting superb reviews on their friendless, hard work and hospitality etc. You will now be able to read our clients feedback and reviews on tanhillinn.com/feedback. We have enjoyed organising events such as rallies, weddings, charity events, folk fests, stag and hen do’s etc. and keeping the tradition of live music every Saturday night which has made the place buzz. During our time here we have had some celebrities, Mark Radcliff Radio 1 DJ, Selina Scott, TV presenter, Richard Hammond from Top Gear (and there is another story) and only recently we bumped into Scouting for Girls who stayed here during their tour. We are pleased to announce that they will be coming to Tan Hill Inn to play for us (November), so watch this space. It will be announced on our website soon so keep checking. During the month of October we have live music every Saturday and they are must. Check for yourself, we have brilliant feedback regarding their performances who make Tan Hill rock. At the same time we are following the main matches of the World Cup every Saturday night all the way through to the final on October 31st. 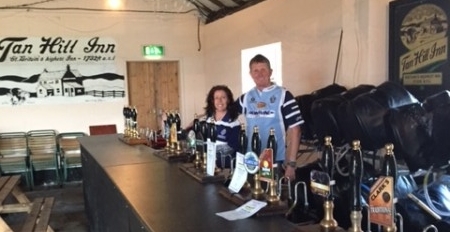 We now have a large TV in our indoor beer garden, so why not come and join us to watch the Rugby World cup at Britain’s Highest Inn. Please keep an eye on the website for forthcoming events (tanhillinn.com/event/) such as Anna Leigh Stainton, Graham Potter, The Dead Heads and the one and only Graham Hunter former musician for Thin Lizzie who are all performing in October. During the month of October until the 23rd we would like to offer our existing customers a chance to come back and see us making the most of our discounts, midweek breaks 10% discount with a free drink on arrival, a chance to try our additional real ales, lagers and ciders. We have a great choice now since our new bar was built. Ring us on 01833 628 246 for availability. We hope to have a brand new online booking system on the website very soon for availability and bookings, as we know sometimes it can be difficult for people to get through when our phone is busy! Just in case you missed it, the Tan Hill Inn was voted in the top ten wild places to stay in the UK.